I organized a Meetup sketch outing to the Granville Island Public Market last weekend. It’s a colourful place, and three of us sat with our coffees and sketchbooks right next to a young busker. 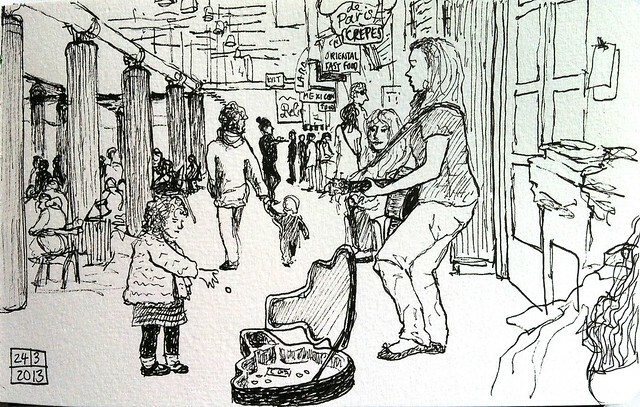 She was playing guitar, people milled about, a mother came by with her little girl and gave the girl a coin to toss into the busker’s guitar case. Then the girl stood nearby and danced a bit to the music. There was a lot going on, it was hard to take it all in, never mind drawing it all. 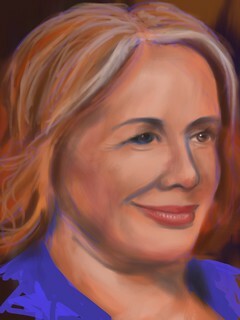 Practicing sketching on the iPad from one of the TV shows I watch regularly. These people depicted are well known to most Canadians. 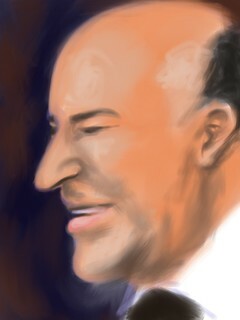 Painted with Procreate. I know exactly who these are – you captured the likeness well.